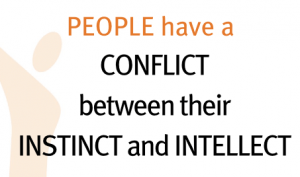 People instinctively deal with conflict by Fight, Freeze or Flight. It is programmed into each one of us. Some people go out of their way to avoid a conflict, while others seem to always be seeking one. Like describing the fundamental particles of an atom, the Proton, Neutron and Electron – The A-B-C Technique, describes the three fundamental processes of Accept Balance and Connect that we must use to handle conflict effectively. 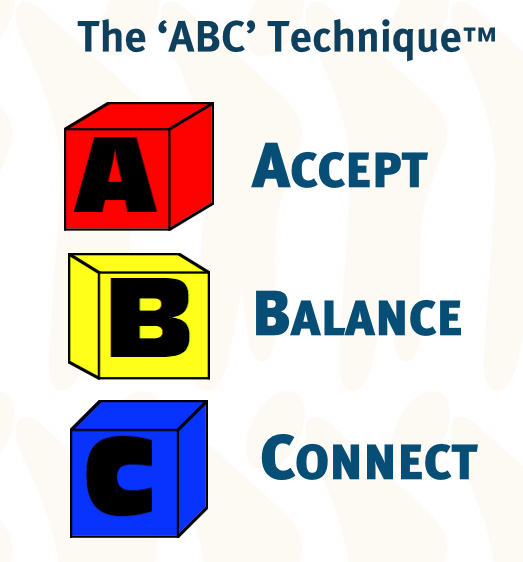 How a person deals with a stressful or confronting situation is a combination of their Temperament and Training. Our bodies are genetically wired to react in a preprogrammed survival mode to threats or stresses. How well we succeed at dealing with conflict depends on whether we choose to react or respond. That is why the skill of staying centred and calm when in conflict can only be learnt experientially because our reaction to conflict is physiological. This is often described as our “emotional intelligence”. The ability to respond appropriately to any stressful situation. AiKiDo is the Japanese martial art that provides, knowledge of our difference, understanding of our similarities and experience of the application of principles of energetic interaction based on personal energy styles, the Warrior’s Way of Harmony. That is why these Aikido is proven to work. This method was developed, not by people seeking peace but by the very warriors who waged war. Warriors who faced the greatest stress, the threat of dying in battle understood this. These concepts were developed from the martial prowess of the ancient samurai Warriors and the Zen monks who taught them. Over centuries, they developed the techniques of finding equanimity in conflict. Through their intensive practice of the arts of war (the Japanese budo) they developed the understanding that the acme of martial skill was to settle conflicts without resort to violence – the skills of not fighting. This required an understanding, not only of the situation but of themselves (insight).